TRUECOLOR coolant is your single solution to all of your antifreeze needs this 150,000 mile/6 year recommended change interval formula is delivered clear in color and you decide what color you want it to be depending on application. This long life ultra compatible hybrid formula is the answer for the facility that services multiple manufactures. One long life coolant that can be any OEM color you need. 714-698-3400 - Call now for special pricing! TRUECOLOR antifreeze / engine coolant may be used in virtually any engine cooling system. This technology is well proven over decades of use, and is essentially engineered to resemble the extended life coolants used in some OEM’s as factory fill. BTHOAT inhibitor chemistry meets ASTM D3306 (in virgin glycol), ASTM D6210 and TMC RP-329 (EG) or RP-330 (PG). In properly recycled engine coolant BTHOAT is designed to meet ASTM D6471 (pre diluted) or ASTM D6472 (concentrate). The BTHOAT chemistry is compatible with most types of coolant on the market today as well as other hybrid technology coolants. This type of coolant is sometimes referred to as “heavy duty extended life”, “global extended service” or “HOAT”. TRUECOLOR, if used as directed, will provide satisfactory performance in most cars and trucks. 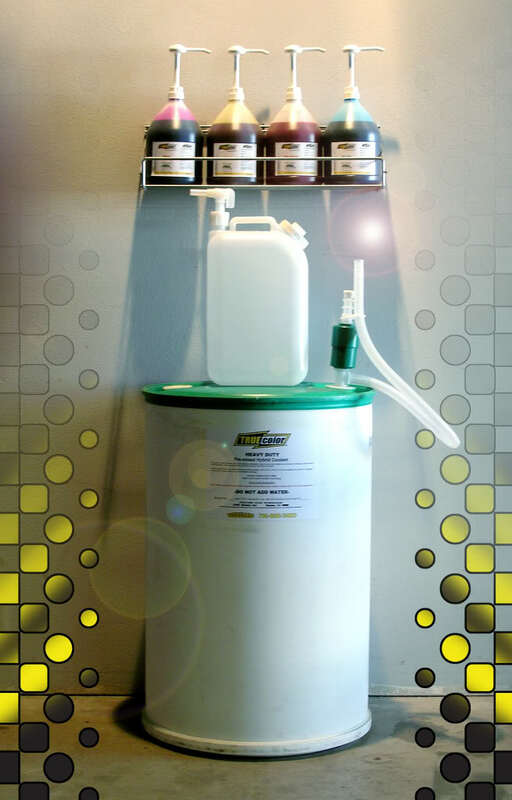 The newest and longest lasting formula of antifreeze to be developed. Toxguard Fluid Technologies is your answer to fleet services.